Survivors of the Marjory Stoneman Douglas High School shooting are tweeting in solidarity with students from Santa Fe High School, who were rocked by a school shooting Friday morning. According to The New York Times, 17-year-old Santa Fe student, Dimitrios Pagourtzis, allegedly opened fire in art class around 7:45 a.m. He left 10 people dead and 10 wounded; the majority of the victims are believed to be students. Pagourtzis obtained the guns from his father, who owned them legally. If anyone can empathize what the students of Santa Fe are going through, it’s Parkland students, still fresh off the trauma of February. 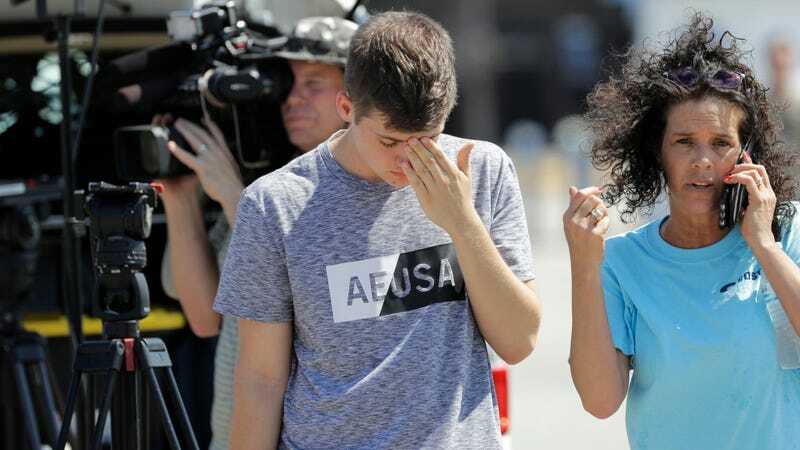 Several of the Parkland teens, including activists Emma Gonzalez and David Hogg, took to Twitter to show support and disgust for the lack of action that has taken place since the shooting that changed their lives forever. Elected officials, in the meantime, blamed doors for the ongoing bloodshed in our schools.